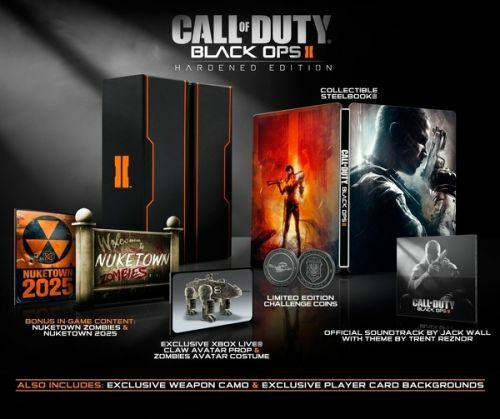 Yes, that image is from the new Call of Duty: Black Ops 2 special edition. 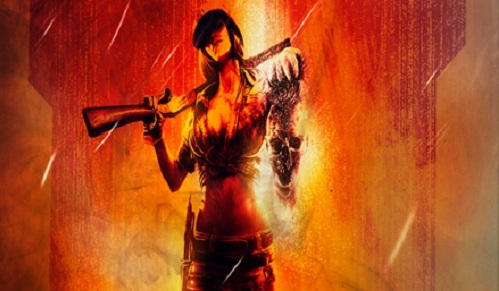 I don't like to speculate, but it looks like the Call of Duty franchise is finally getting bare midriffs. It's about damn time. It also appears they may be taking this Zombie thing seriously. Or less seriously. Whichever makes it more awesome. We also have details on three new special editions. All three systems will be getting their own goodies, so you'll have to choose wisely. Or you'll just pick whichever system all of your cool friends are using. I'd like to bash on Call of Duty, I really would, but I'm tapping out early this year. I've accepted the fact that I'm going to get Black Ops 2. I have to. And so do you. Read on to find out just how much money you'll have to spend to get the black tackle box. 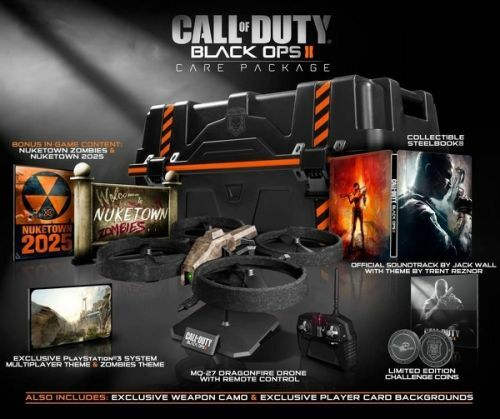 Preorder the Call of Duty: Black Ops 2 Care Package from Amazon now! I don't want to say I'm going to buy this edition out of spite because I missed out on the Borderlands 2 Ultimate Loot Chest, but I'm going to buy this edition out of spite because I missed out on the Borderlands 2 Ultimate Loot Chest. Take that, Gearbox! Now to go sell some blood. Don't worry, it's not mine. This pic was tweeted a few days ago. I gotta admit, I'm pretty excited for this. Call of Duty®: World at War Game Download Token - A digital download of Treyarch's classic title, traversing WWII storylines from the Pacific to European theaters of war. Here's a better shot of the back of the tin. It's game time. Call of Duty: Black Ops 2 will support four player online co-op. 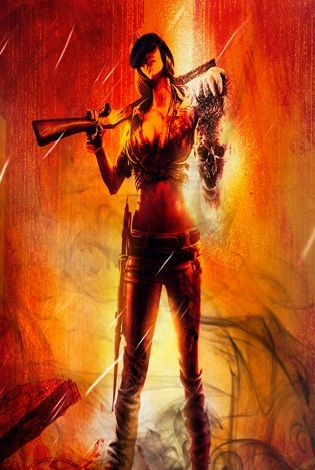 If it has the same co-op support as its predecessor it will also support two player local co-op, and possibly up to eight player online co-op. 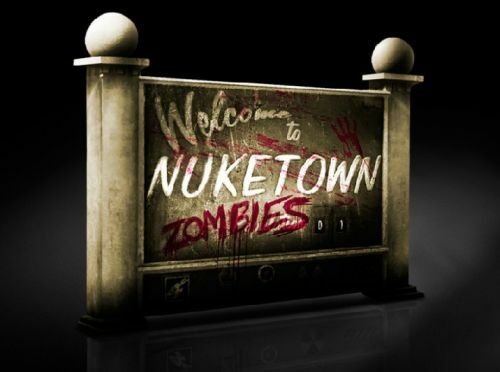 It will launch on the Xbox 360, PlayStation 3, and PC on November 13th. Normal people can still buy the regular game for $59.99. Or you can pass on it all together. Or can you?